The Norwegian Academy of Music kindly published an article about me, including videos by the upcoming artist Kyrre Lien, whose remarkable style I hope you’ll enjoy! The interview is in Norwegian but the video of my first go at Chopin’s G-flat major etude (‘black keys’) at a Viennese fortepiano of the 1820s can be viewed here! The instrument is a original Alois Graff grand of ca 1825. Thanks to everyone who came to my Carnegie Hall recital Keys to Romance on Feb 24 – and to the several recitals in Norway ahead of my NYC debut! I am so grateful for this grand experience, and for all the attention I got in the form of reviews. Reviews are most often a scarcity nowadays, but luckily, bloggers and online journals often ‘save’ us musicians when the paper press has to prioritize differently. Below, you can see excerpts from the four reviews I got, along with links to the full texts. Happy reading! Michael Miller of the New York Arts: “Christina Kobb… emerges in this recital as not only an outstanding scholar and historical instrument specialist, but a master of the modern piano of impressive musicianship and sophistication. 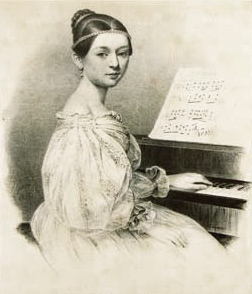 … Kobb’s studies of the keyboard technique of Schubert’s own time have shown her how to render the bass with perfect clarity and to phrase the melody beautifully with a minimum of pedal. Her playing of the Allegretto [of Schubert’s D. 537] was impeccable … This performance was not only the result of scholarship and musical application, but a colorful and sensitive revelation of an underestimated piece. Victor Levy of piaNYC: “I thoroughly enjoyed Keys to Romance. Ms. Kobb’s upright posture may have seemed prim to some. For me it seemed refined, even majestic. There was no artful hand waving or crouching. There were very expressive motions and revealing facial expressions completely in sync with the very beautiful sound. Enhanced by a physical expression with no deficiency, what I heard was not a sound fit for the small space in which a performer of the early Romantic era would have performed on a keyboard of the time. Christina Kobb’s passion, expressed in the reconstructed technique adapted for this occasion, filled the modern Weill Hall with all of the finesse written into the scores, as well as the full power of the emotions that the composers felt for each other, preserved and made audible for us, their enduring admirers.” (The photo above is by Victor Levy). A special thanks to the reviewers, who took the time and effort both to get to know my work and to publish about it – I appreciate you so very much! My newest article is out! I’m honoured to receive Prof. Norman Jackson’s to contribute to the last issue of Lifewide Magazine no. 18, where the topic is Exploration. I have attempted to explain how I explore in my own practice to keep making improvements to all aspects of my piano playing. Below, you see the first few lines. The full content can be read here: lifewide_magazine_18, pp. 69-74. See also their website. 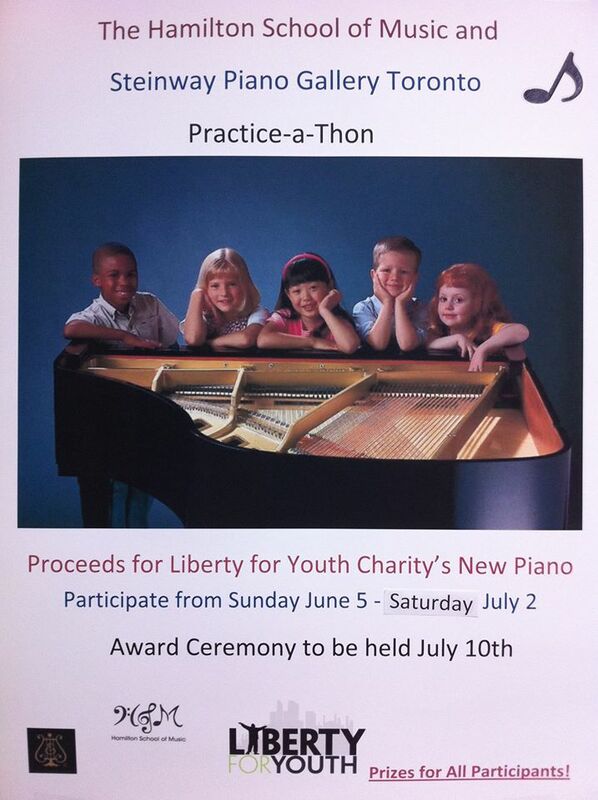 Piano playing is my practice. As with many artistic practices, it is supposed to be creative, intuitive, touching, virtuosic and mind–blowing. Nevertheless, routine, boredom, frustration and lack of initiative may threaten musical practices, too. That is, if we forget to explore. I love the explorative state of mind! I regard exploration in any practice as integral both to continued development and continued excitement. I like to think of a practice as an ecology of many constituents or actions; on the physical, mental and emotional level respectively. As I am highly motivated to improve my performance, I work regularly on developing all three levels plus the interaction between them. I actually practise aligning these levels to each other, actively conditioning myself for an explorative state of mind and being. On each level, “renewal of cells” is part of the process, just like everything in nature is in constant growth and adaptation. Have you noticed how even dead branches block the sun? Similarly, removing that which is already dead, redundant or even toxic is vital to secure growth in a practice. And steady growth is, in turn, achieved by channeling all of our efforts – physically, mentally and emotionally – in the same direction. I would argue that exploration requires planning and conscious decisions. You may stumble on an idea of how to explore something, but once you decide to pursue it, a strategy is vital. The physical level of a practice is usually the best place to start, as it is relatively easy to inspect and adjust. The constituents of the mental condition (cognitive activity) may be a little harder to grasp and that of the emotional level even less tangible. Nevertheless, I keep exploring and will share some of my experience here. To read on, please go here! lifewide_magazine_18, p. 69! Yesterday, I gave a private recital on an old piano, just like the one on this picture. However, the pictured piano is taken from one of the countless ads for pianos that are given away for free nowadays. You have probably seen them too, it’s such a sad development. The piano I played yesterday, is a Lucky Piano: It is still being played! Not only that. The Lucky Piano has had a peculiar life. First, it was purchased second-hand by a family in Budapest. When they decided to move to the UK, they brought the piano, despite the expense and toil. It was a cherished instrument, not the least by the children who played it. The children grew up, happily playing the piano (at least, that’s what I imagine!) 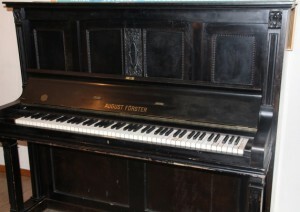 Later, one of them moved to Norway – and at the birth of her first daughter, she had the piano brought to her new home. It became the childhood piano of another generation of musical kids. Sometimes, I would come and play together with these kids, on the piano which had travelled so far. We played Brahms, Schumann, Beethoven, Mozart. We played Christmas songs and Frank Bridge. After some years, the piano began to suffer. It was overhauled and the hammers even sent to Germany for refelting! It came back happy and continued to live. It moved from a house to an apartment, it keeps being played and tuned and bringing joy. Yesterday was a special day in the life of the Lucky Piano. It turned 100 years! Maybe not exactly yesterday, but approximately enough for a celebration. The owner of the Lucky Piano got the idea that we should meet up in the honour of the Lucky Piano and all the joy it has brought throughout its life. To celebrate, we performed music from all the places it has lived. Schubert lieder (as the piano came from Vienna originally), Bartok pieces for children, a Clementi sonatina, a Norwegian lullaby and some pieces by Schumann to honour the new hammer felt (eh, I needed an excuse!) 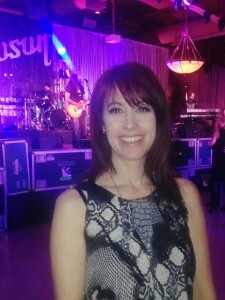 The daughter of the piano owner attended – with her baby son! Schumann is already his favourite and he seemed to enjoy the whole event. As far as we know, he probably made the decision of starting piano lessons soon – on his grandma’s old piano. He is one lucky kid! Last 3 hours to support me! Do you want to support me going to Toronto in March, right after my debut recital in Carnegie Hall, to teach, perform and give these kids some great musical experiences? Act fast: support my Kickstarter campaign for my Carnegie debut which is already funded in full thanks to all of you generous piano lovers – the next $ 400 will cover my flight to Toronto!! UPDATE: The Kickstarter was funded, but not (as of yet) the flight to Toronto. However, prospective donors are welcome to get in touch With Shari or me for arrangements! Forget about When Harry met Sally. When Robert met Clara would beat most romantic movies! 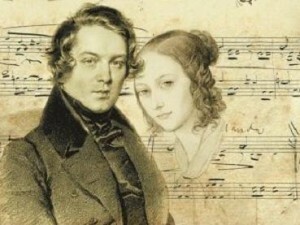 It is unclear whether Robert met Clara at some private concert and therefore wanted to study with her father, or whether he came to Leipzig to study with renowned piano pedagogue Friedrick Wieck and therefore met his talented daughter Clara. In any case, they met! In 1828. And it was the beginning of a long, painful, joyful love story. Robert Schumann, the literary addict, took intensity, courtship and romantic longing to a new level. First, let’s remember that the thought of matrimony because of love was a rather new thought in the early 19th century, perhaps introduced by Goethe’s Die Leiden des jungen Werthers (Sorrows of the Young Werther) in 1774. 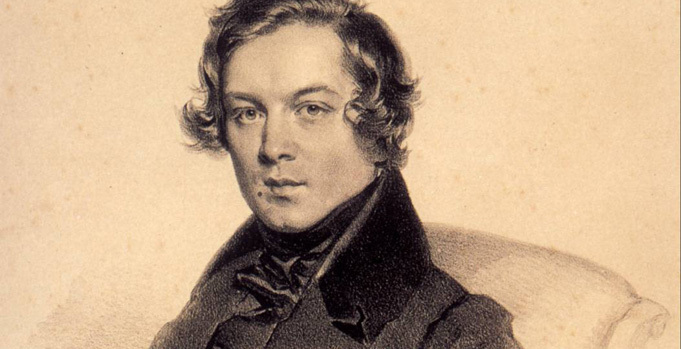 Yes, we know that Schumann liked Jean Paul! But I would argue that he also owed a great deal to Goethe. The psychological depth is present with both authors, and Schumann’s complex personality embraced and portrayed childish simplicity one minute and unequalled intensity of human feeling the next – just listen to Kinderszenen (op. 15) and Fantasie (op. 17) respectively! I also strongly suspect that Schubert was a strong inspiration regarding both of these aspects. 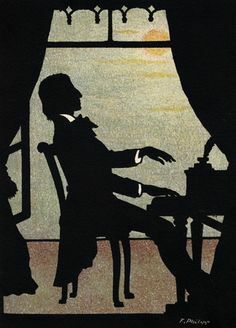 (Schumann’s admiration for Schubert is documented by the fact that he bought scores from Ferdinand Schubert and saw to it that Schubert’s Great C major symphony was premiered). Yesterday and the day before yesterday, I passed by your window. I thought that you’d come out. It was thundering and I was standing at your house for half an hour. Didn’t you feel it? Carnegie Hall debut coming up! Great news today: My Carnegie Hall debut recital is all set up! Please join the crowdfunding campaign on the link, it is very much appreciated! I am already the proud recipient of Nils Larsen bequest 2016 (Nils Larsens legat) and All Classical Portland is kindly sponsoring me. Nevertheless, there are still expenses unpaid in connection with this great step. If you care about piano playing, romantic music and beautiful sound and phrasing, I invite you to join me on my way to Carnegie Hall 2017! As you can see, I am presented by Distinguished Concerts International New York and my crowdfunding campaign is run by Soaring Dreams via Kickstarter.